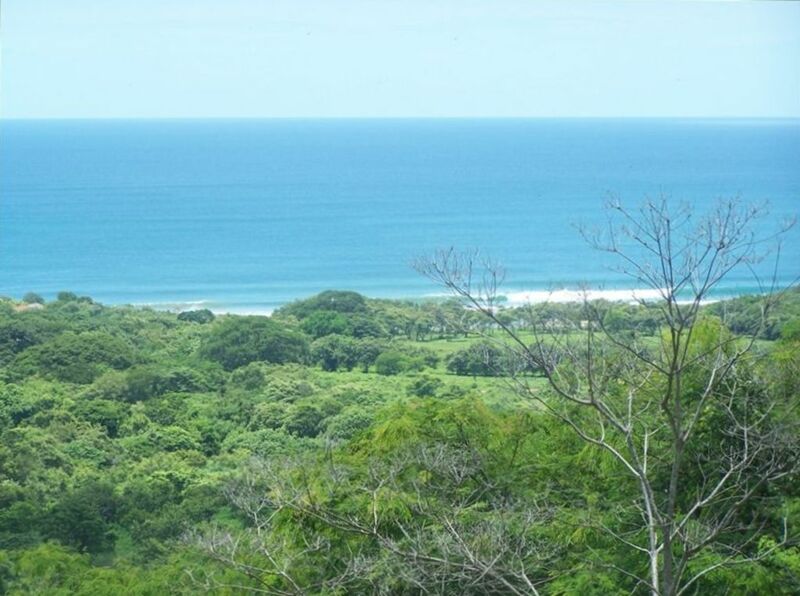 Pacific Surf House is located 300 ft up on an 11 acre private lot in the gated community of Rancho Santana. It provides our guests with an incredible view of the Santana break as well as the rest of the Pacific. This beautiful two bedroom/ one and a half bath villa awaits your arrival. Here you are completely surrounded by nature and have easy access to all the best surf breaks,restaurants,tennis courts,and miles of unspoiled beaches,and did i say uncrowed surf breaks. Pacific Surf House has all the amenities to make sure your vacation is memorable!Daily maid service, professional massage table that stays at the house and upon advanced request ,massages are available right in the comfort of your own home! The massages last 1 hour at $35 per massage. The house has 3 remote controlled ACs, although at night the cool breezes paired with the ceiling fans are enough to keep the rooms cool, since the house was designed to take advantage of the tropical breezes. Guests also have the benefit of being sung to sleep by nature and the crashing waves. Guests will be able to stay in touch with the outside world via wireless internet and free long distance calls to the US, Canada and Puerto Rico. The kitchen, equipped with granite countertops and wood cabinetry, opens up to an outside bar which over looks the infinity edge pool and the Pacific Ocean. Everything you will need is included, including a French press and bean grinder so you can start the day with that perfect cup of Java!.Toaster oven,blender,ect. We have Glades and Leo who come 6 days a week,between the two they will provide daily maid service,laundry,pool and yard care and any other needs you might have,they will take care of you,such as cooking ,and even babysitting! The living room has a 43" smart TV,DVD player, and like the rest of the house, has AC and ceiling fans. The master bedroom, which can be opened at night to enjoy the cool breezes, has a pillow top queen bed with a frame, handcrafted by a local artist, and vaulted ceilings. Each bedroom has AC and a ceiling fan to ensure your comfort. The guest bedroom has two single beds that are hand crafted also. Both bedrooms have granite top sinks for added comfort and ease of living. All rooms provide an elevated view of the waves rolling in from the Pacific. All the surf breaks are within 3-15 minutes from the house no restricted acess.Santana beach break,Colorados,Rosada,panga drop and a 30 minute drive to Popoyo So once your at Rancho Santana you have it all,plus a killer clubhouse and restarant and large free form salt pool overlooking the break at Santana and another pool overlooking Rosada.,Great left point break at low tide in Rancho Santana. We loved Roger's house, Rancho Santa, Nicaragua and all of the memories made here. The sunsets over the infinity pool were perfect, the beaches in the community were pristine, and the food in the restaurant was outstanding. Roger arranged our pick up from Managua airport as well as our rental truck for our stay. Our advice is to bypass Costa Rica and head for Nicaragua! This was a great place to stay! Roger provided a great house with a sweet pool and view of the ocean. He was very quick to get back to us and his house staff did a great excellent job. We got his local fish delivered and cooked on the patio a lot. The Rancho Santana area has great surf, relaxing pools and grounds and super food and drinks. Highly recommend going to this site, and hope again. Easy access by car to all Rancho Santana facilities. Beautiful house with beautiful view. We stayed for 2 nights only, but for sure we will come back. The house is clean and equipped with everything that you could need. A big plus is that the internet is super fast! We really enjoyed our short stay. Roger was really responsive to all our questions and made sure that all our needs were satisfied. I will definitely recommend this property. We loved the location and the views were spectacular! Sunsets over the ocean every evening from the beautiful multi-level patios. The layout of the house is great and Gladis, the housekeeper was an absolute joy. She helped us find a little market to buy food and it was delicious. She is a great asset. Having access to the beaches, restaurants and amenities at Rancho Santana was wonderful. The food at the main restaurant is incredible. The reason we only give the house 3 starts is because it is in serious need of some TLC. The paint is peeling, stonework breaking, tiles missing from the pool, kitchen faucet handle broken, toilet seat loose, roof tiles broken, very uncomfortable living room furniture, wood pergolas in disrepair. We were very lucky that we had a four wheel drive vehicle as the driveway is very steep - I would recommend 4WD for the trip as a whole. That being said, we had a wonderful and memorable vacation and would highly recommend it. Roger and his staff did a great job working with our last minute reservation. The kids loved the pool and beaches and we loved the view and tranquility.